Reflections on Amiri Baraka | Fight Back! Newark, NJ - He was a poet, playwright and political activist. He was my mentor and guide for almost a quarter of a century. He was of a literary generation with James Baldwin, Maya Angelou and others who were intensely aware and confrontational of the injustices of U.S. society. Early on he was associated with the ‘beat’ writers, like Allen Ginsberg and Jack Kerouac. He went in other directions but maintained a friendship with Ginsberg until the end of the latter’s life. His best known play is Dutchman. It was made into a film with Shirley Knight and Al Freeman, Jr. When I was in college, at a social gathering that was part of an arts festival, somebody passed by in the crowd. I recognized him as LeRoi Jones, a poet whose picture I had seen in Time magazine. He was the first famous person I had ever seen up close so it stuck in my memory. But that was that. He came of age with the Civil Rights Movement of the 1950s and early 1960s and became a crucial force in its transformation into the Black power movement of the middle and later 1960s. The same period saw the defeat of the aggressive and wrongful U.S. wars in Vietnam, Cambodia and Laos. The world’s largest country was led by Mao Zedong with an impact that is scarcely imaginable today. Africa was a hotbed of national liberation movements, giving rise to outstanding leaders like Kwame Nkrumah, Robert Sobukwe, Sekou Toure and Nelson Mandela, among many others. The status quo of U.S. society was on the defensive as at no other point in living memory. 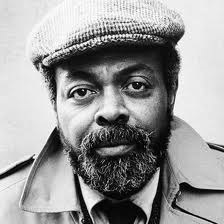 Amiri Baraka was ideally suited to the times, gregarious, energetic, mercurial, uncompromising, insightful, in the middle of everything, fighting all the time—un poet mo’ dit, perhaps. When it came to who was hooked up to who and how and why he could practically see through walls. His activities of the time were too many to mention completely. He was a key organizer of the 1967 Newark Black Power Conference that laid out a comprehensive political and economic agenda for the advancement of Black people. He founded the Congress of African People (CAP), a nationwide alliance of forces in the Black liberation movement. He also founded and led the associated Committed for a Unified Newark (CFUN) to define and implement a program of community-based economic development. The dominant ideology of the Black liberation movement at the time was black nationalism. There were different currents but the main idea was that the most important division in society is between black and white. Culture was correctly seen as an arena of conflict between the oppressed and the oppressors, rather than something handed down from on high in equal service to all. Some expressions described as “cultural nationalism” did not stand the test of time, but in many ways we would not think as we do now had not those ideas been tested. In 1966 Kenneth A. Gibson ran a last-minute candidacy for mayor of Newark. He got 20% of the vote—a huge surprise. In 1970 a Black and Puerto Rican Convention was held in Newark, again organized at the initiative of Amiri Baraka. It consolidated an insurgent local political base that was the foundation of Gibson’s mayoral campaign that year. The Democratic Party machine had had its own appointee in mind to become Newark’s first black mayor. The hometown forces proved stronger - an exceptional thing. The winner turned out to be Kenneth Gibson. It was a democratic step forward. A majority Black city whose elected officials had been overwhelmingly white had elected a mayor of its own choice. Also, Gibson was the first Black mayor of a major northeastern city. The important thing about his election was that it tested ideas about black power and black liberation. Many, including the present writer, thought that basic change would come since Gibson was (and is) a Black person. There were some accomplishments. Black people had never been hired in city jobs, in the schools or in the police force. Now they were. There was a decline in police brutality, for a while anyway. The problems of the great majority of the city’s residents went on just as before, however. After a few years it was conclusive: the Democratic Party and the big downtown business interests were as secure in their rule as always. These developments could not be explained as issues between Black and white. Nonetheless the struggle for Black empowerment went forward. In 1972 the historic National Black Political Convention was held in Gary, Indiana. Again Amiri Baraka was one of the main forces in pulling it together. Another prominent attendee was Jesse Jackson. Gary reflected the view within the Black liberation movement that electoral politics was a main avenue of liberation. The convention’s purpose was to found a nationwide black political party. Representation was broad - Baptists and Muslims, integrationists, nationalists, elected officials and grassroots organizers. Lawrence Hamm of the People’s Organization for Progress was a delegate, one of the youngest (at the time.) He recalls that Richard Hatcher, the city’s powerful mayor and a figure of national standing, had the lampposts decorated with black, green and red national liberation flags. Class contradictions stood out at the convention. A resolution in support of the Palestinian people was introduced. Mayor Coleman Young of Detroit threatened that if the resolution was adopted he would pull the entire Michigan delegation out. The convention refused to be intimidated and passed the resolution. Young carried out his threat and pulled his delegation. From this and other actions it became clear that the elected officials’ loyalties were to the Democratic Party, and their positions could not be challenged by the people. There was no follow-up to the Gary, Indiana convention. Black elected officials continued to be elected in growing numbers but through the Democratic Party. In spite of the hopeful signs of Newark in 1970, electoral politics turned out to be a safety net of the status quo. Gary was where the Black Liberation Movement found, in 1972, the limits of electoral politics. The nationwide test did not come until 2008. By that time the present writer was no longer surprised at the results. Yet, Gary was a gathering from which white people were excluded. Again there were conflicts that could not be explained in terms of black versus white. Lenin says somewhere that communists must always be for the fullest and most complete democracy because it is only under those conditions that it becomes clear that capitalism itself is the problem. One person who picked up in practice on the same idea was Amiri Baraka. The Congress of African People and the Black liberation movement generally were hotbeds of ideological struggle. Ideas of black capitalism, electoral politics, religion and class struggle were heard on every hand and debated intensely. See History of the Congress of Afrikan People at http://www.marxists.org/history/erol/ncm-1a/cap-history.htm for a much fuller story. Neither was the state standing still. The FBI instigated conflicts between black organizations that went as far as bloodshed. Fred Hampton, the Chicago leader of the Black Panther Party (BPP) was assassinated in his bed by the Chicago police force. There was a general state war against the BPP. The state attack further intensified the struggle. Indeed, in the course of the Newark Rebellion in the summer of 1967 Amiri Baraka was grabbed off the streets by the police, thrown into a car, had a pistol pressed to his head and his life threatened and was beaten savagely. His presence at a protest was always an invitation to a police charge. The big conventions with ‘powerful’ national figures were a thing of the past. The media spotlight moved on. From bright lights and microphones and crowds with famous people in attendance, he now found his audience in places like church basements, speaking to local community turnouts. He had never had problems finding publishers for his work when he was what he himself described as a narrow nationalist, but as a communist it was much harder. I joined the RCL in 1975 or 1976 (it’s been a long time.) The organization’s unrelenting struggle for rigorous adherence to communist thought was what decided me. The time was one of intense struggle to form a new communist party. Many new Marxist-Leninist organizations had emerged in opposition to the line of Nikita Khrushchev, who had renounced the revolutionary heritage of the Soviet Union in 1956. He also proclaimed a path of “peaceful transition to socialism” in opposition to everything Marx and Lenin had to say on the subject. The Soviet Union under Khrushchev had little to none of its former appeal to a generation that had come to maturity in a time of worldwide revolutionary struggle. The Communist Party - USA followed Khrushchev into the swamp of revisionism and likewise met intense opposition with its “anti-monopoly coalition,” a fancy way of dressing up its tactics of trying to dragoon people into becoming the left wing of the Democratic Party. There were a lot of organizations in the new communist movement. There was a lot of struggle. Amiri fought ‘right’ opportunism when that was the thing to do. He fought ‘left’ opportunism when that was the thing to do. There were indications of ‘left’ provocations that resembled those used by government agents earlier in the Black liberation movement. They caused harm again, but not as much as before. The movement to create a new party hung fire and did not succeed. But it came close. A full discussion of it is beyond the scope of this writing, but one day there will be success. Although Baraka was no longer a nationalist, but a communist, that in no way lessened his dedication to the democratic right of the African American people to national self-determination. The RCL issued a pamphlet titled The Black Nation that upheld resolutions passed in 1928 and 1930 by the Communist International which defined the Afro-American people as a nation of based in the Black Belt of the South, so named for the color of its soil, which was the historical territory of slavery. Understanding the right of the Black nation to self-determination in that territory is part of building the strategic alliance for revolution of the working class and the oppressed nations, based on equality and democracy. The divisions among the people are a bastion of capitalist class rule; they can be overcome on no other basis. Amiri Baraka gave a profound analysis of the dynamics of these questions in his brilliant 1982 essay, Nationalism, Self-Determination, and Socialist Revolution. What I value above all things I gained from him is an appreciation of the relation between the struggle for democracy and the struggle for revolution. He used to say, “The struggle for democracy is the path by which the people will find their way to revolution.” He had a genius for finding it. He had a lethal wit. “God has been replaced, as he has all over the West, with respectability and air conditioning.” I had to look that one up. It’s been a long time. But back in the day shots like that were routine. The League of Revolutionary Struggle continued the work of its constituent organizations through the 1980s. However, ideological and theoretical work was almost completely neglected after 1985 or so. By 1988 the LRS leadership had virtually become an appendage of Jesse Jackson’s presidential aspirations. Amiri resigned from the organization in protest. I didn’t agree with him about Jackson at the time but he proved to be right. But I think it would have been better if he had stayed in and continued the fight. Gorbachev’s “glasnost” and the following crisis caught the LRS leadership completely unprepared. They refused to respond to demands of cadres to say something about the Soviet breakup. Instead they surrendered to bourgeois ideas and repudiated Marxism-Leninism. An attempt was made to continue the organization on a reformist basis, but without the discipline and sense of purpose that comes with Marxism-Leninism it simply faded away. Amiri, another comrade and I restarted publication of Unity & Struggle, which had been the name of the publication of the RCL. It was an outlet for his and other voices at a time when many were in retreat. Some years ago Amiri and I came to a parting of the ways. It was painful. I never forgot my immeasurable debt to him, though. About a year ago there was something of a personal rapprochement. Maybe he knew he didn’t have a lot of time left. My sympathies go out to Amina and all the family. His departure comes like a detonation of something deep in the earth, the remembrance of his greatness in all of its power. Hail and farewell, comrade. *The League of Revolutionary Struggle (Marxist-Leninist) known as the LRS, formed in 1978 by the merger of the August 29th Movement (ATM) which had roots in the Chicano national movement, and the I Wor Kuen (IWK), which had roots in the Asian American national movements. In 1979 the RCL merged with the LRS, which became the largest Marxist-Leninist organizations to mainly come out of the movements of oppressed nationalities.